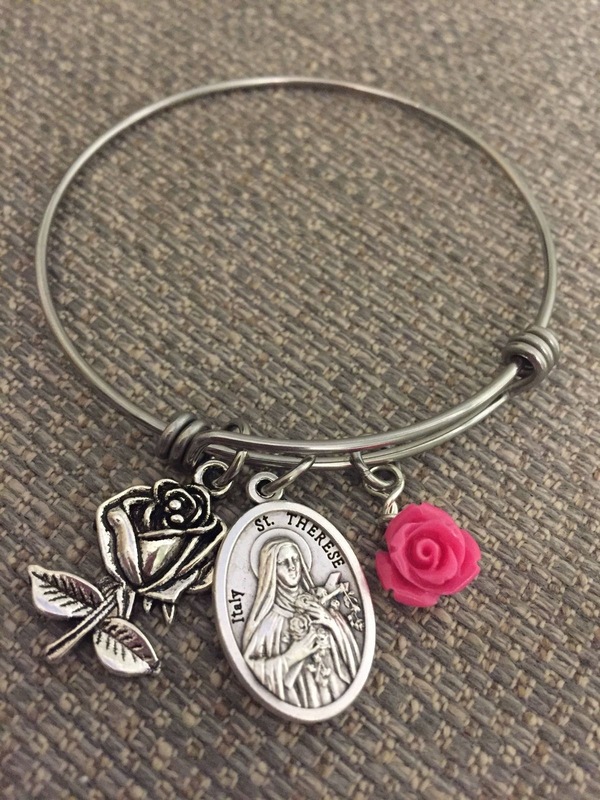 Saint Therese Little Flower adjustable stainless steel bangle charm bracelet. 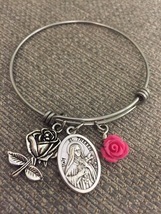 Pewter rose charm , pink resin rose and Saint Therese medal made in Italy. Free Fast shipping in the USA! Adjustable; Dimension: Approx. 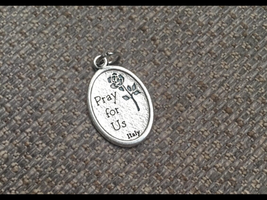 2.5” (6.4 cm) – Expands to 3” (7.6 cm) Comes gift boxed ready for gift giving. Fast Free Shipping in the USA !